When PETROG collects images it saves the location on the slide. This means that the images can be stitched together into a larger mosaic. 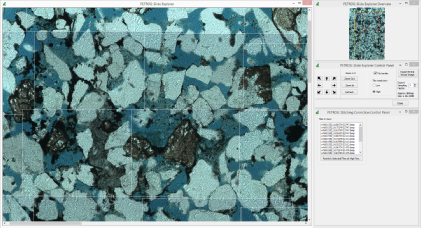 PETROG can also be programmed to pass over the slide and collect images over an area of interest on the slide, or the entire slide, and produce a mosaic. Images are overlapped and PETROG has the capability of stitching the images into an overall mosaic. 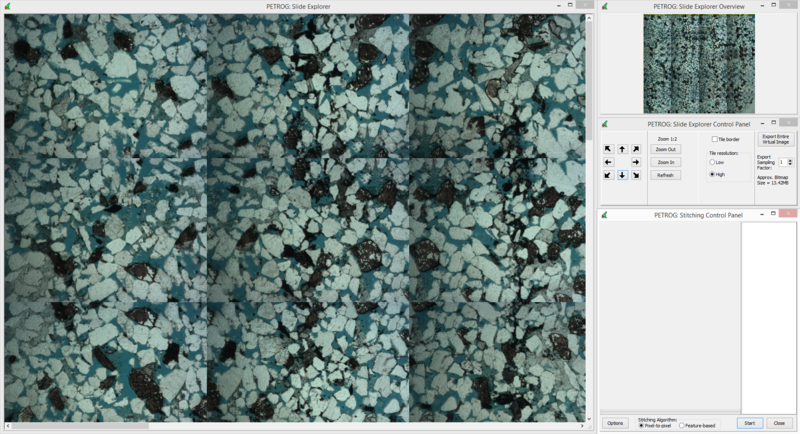 PETROG then allows the user to navigate, zoom and export the stitched image.